I'm truly honored to have an article published in Today's Catholic Teacher! 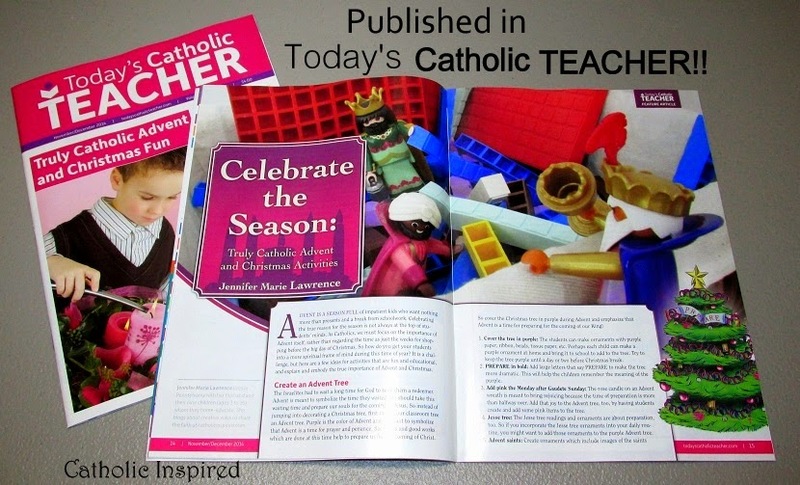 My article "Celebrate the Season: Truly Catholic Advent and Christmas Fun" was their featured article in the latest issue! I'm so impressed with the way they colorfully laid out my images and information! It just looks amazing! In the first part of the article I wrote about the Advent Tree idea, which I posted about in the past. Read that part of the article HERE on Today's Catholic Teacher's website. In the next part of the article I talked about our Wise Men ADVENTures and I shared a few ways to make this activity fun in the class room. This idea has been great fun at our house for several years now and the idea has spread across the web with amazing zeal! Read about it HERE on Catholic Inspired and read that part of the article HERE on Today's Catholic Teacher's web site. 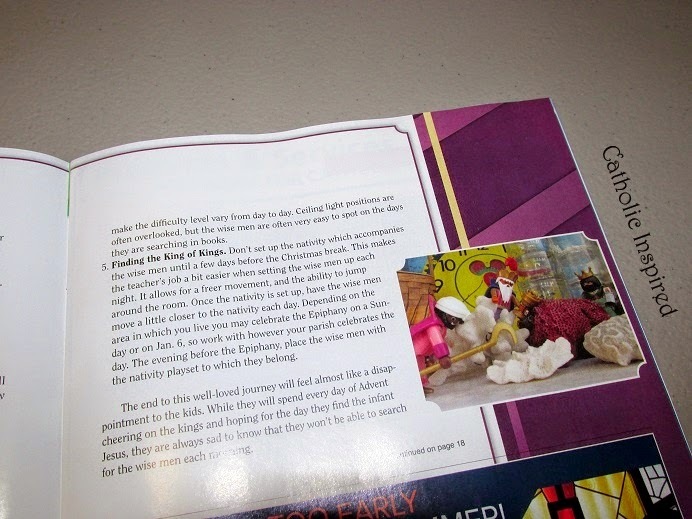 In the last two sections of the article, I wrote about celebrating other feast days during Advent. The two I focused on were St. Nicolas and St. Lucy. I have some of these same ideas listed on this blog HERE and HERE. 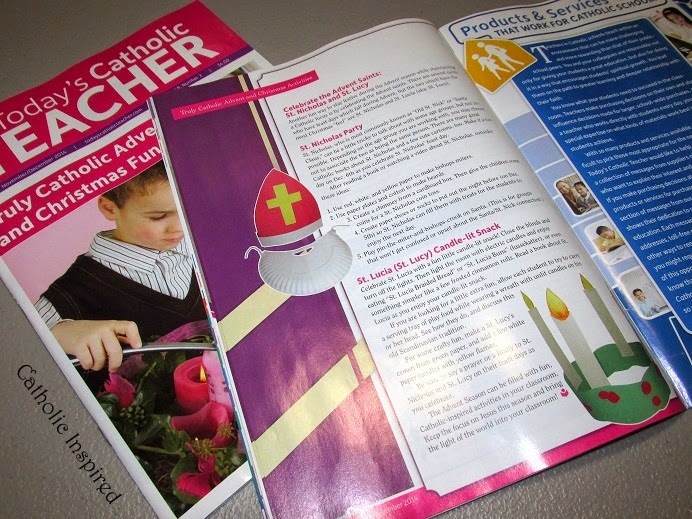 Thank you to Today's Catholic Teacher for allowing me to write for your wonderful magazine! May you all have a blessed Advent! 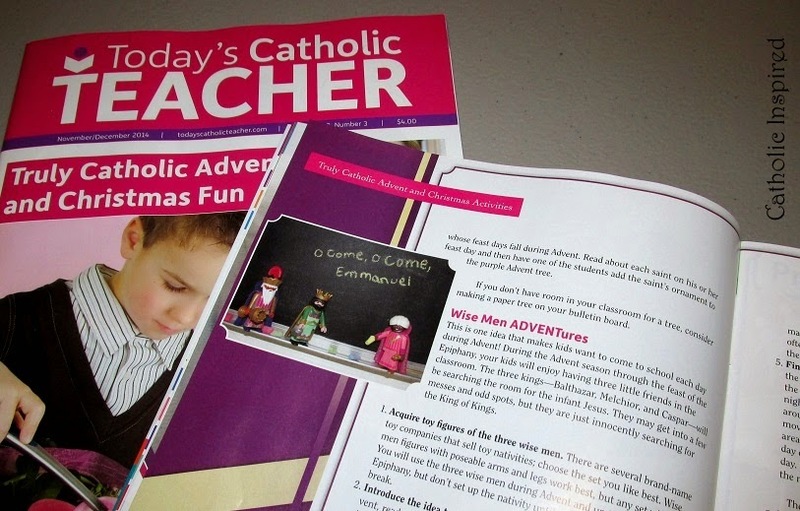 Visit Today's Catholic Teacher to get a subscription to this awesome magazine for Catholic teachers! I'll def be referring back to this post....great activities!! Happy day-after Thanksgiving my friend. "See" you online soon. WOOHOO!!! Sending a HUGE congratulations to you on being published in such a great magazine!!! Thank you so much, Ladies!! It was such a blessing. there is no words to express how wonderful is been this site ,I had been enjoy every single project; God bless you for every thing that you share with us .Thanks very much.